When you walk into a home—whether it be your own home or a home you’re interested in buying—you might think that everything looks fine. However, the truth is that there’s no way to be 100 percent sure that a home is safe and sound unless you have a home inspection done. Mountaineer Inspection Services can provide you with residential home inspection services in North Central West Virginia, and let you know whether or not a home is as safe as it appears. 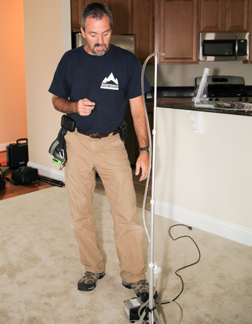 Mountaineer Inspection Services currently offers many different residential home inspection services in West Virginia. For starters, we offer mold inspections and testing designed to detect the presence of harmful fungus where you may not be able to see it. While some mold growth may be obvious, mold tends to grow in dark, damp areas of a home, which means you could very well have mold growing behind a wall or in an area of your home that you don’t visit often. When we conduct mold testing, we can tell you whether or not you have mold by using air samples, tapes, swabs, and other tools as part of our analysis. 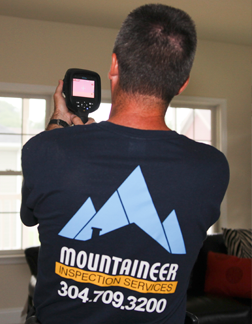 Infrared thermal imaging is another one of the residential home inspection services that Mountaineer Inspection Services offers in West Virginia. This type of testing relies on thermal imaging to find water leaks around windows and doors, leaky roofs, insufficient insulation, plumbing problems and more. There could very well be a serious issue in a home hiding behind walls or in ceilings, and you wouldn’t even know it by looking. There’s also a chance that a home might not be as energy efficient as it could be. Infrared thermal imaging will help identify potential problems in all of these areas. Mountaineer Inspection Services has inspectors certified by the Building Performance Institute (BPI) and the Residential Energy Services Network (ResNet) and can help you improve the energy efficiency of your home. 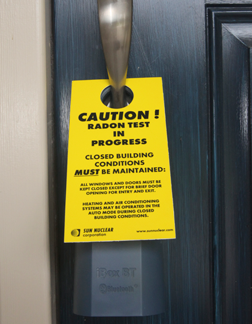 A residential home inspection may also include radon testing. According to the U.S. Surgeon General, radon is the second-leading cause of lung cancer in the entire country, and yet, many homeowners have never tested for it. Radon can build up in a home if uranium in the soil under the house breaks down and enters through a basement or crawlspace. If this happens, it can have very serious long term effects on your health and the health of your family. So why not have Mountaineer Inspection Services test for it? Regardless of which of these residential home inspection services you need done in West Virginia, Mountaineer Inspection Services can help you with them. Contact us at 304-709-3200 today for more information on the services we can provide for you. Mold is present in the outdoors and in every home as well. It can only grow if the right conditions exist. It needs the right temperature, enough moisture (humidity), and a food source for it to become a potential health threat. Potential health effects and symptoms associated with mold exposure include allergic reaction, asthma, and other respiratory complaints.Mountaineer Inspection Services offers mold inspection, testing, and assessment. A comprehensive mold inspection will include air samples, tapes, and swabs as necessary for a complete analysis.Call us today to schedule an inspection of your property. Click here to call us today for a scan of your home. You can’t see radon. And you can’t smell it or taste it. But it may be a problem in your home.The Surgeon General has warned that radon is the second leading cause of lung cancer in the United States. That’s because when you breathe air containing radon, you can get lung cancer. Only smoking causes more lung cancer deaths. If you smoke and your home has high radon levels, your risk of lung cancer is especially high.Radon can be found all over the U.S. with West Virginia being no exception.Radon comes from the natural (radioactive) breakdown of uranium in soil, rock and water and gets into the air you breathe. Radon can be found all over the U.S. It can get into any type of building — homes, offices, and schools — and result in high indoor radon levels. But you and your family are most likely to get your greatest exposure at home, where you spend most of your time. Call us today to schedule a radon testing appointment for your home.